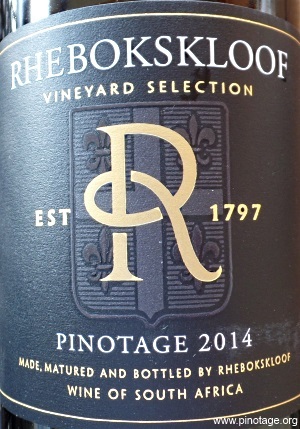 My Wine of the Month for February is Rhebokskloof ‘Vineyard Selection’ 2014 Pinotage. It is, I think, the first bottle I’ve had from this winery which is north-west of Paarl on a road linking the R44 and R44 shortly before they cross. The property is large, in its own shallow valley with decomposed granite soils similar to those found at Kanonkop and L'Avenir in Stellenbosch, and thus eminently suitable for Pinotage. And they have now the inimitable Chenin and Pinotage maestro François Naudé (ex L’Avenir) on board as Wine Manager. Rhebokskloof (referring to the wild reebok deer that used to be common in the valley) has impressive grounds and a maturation cellar that makes a feature from huge rounded sandstone rocks that tower out of the ground by its entrance. The area in front is transformed with shelters and lights to a magical place for weddings and functions. But back to the wine. I was knocked out when tasting Rhebokskloof ‘Vineyard Selection’ 2014 Pinotage at the winery's tasting counter and had to buy a bottle. It has a bold nose which asserts itself with perfumes of black cherries and plums as it’s poured and then showing a rich garnet colour in the glass. This is a statement wine, big rich and powerful, full of black berries, cherries and plums and an underlying it all, very dark chocolate. Very impressive, very drinkable. The first Pinotage to be grown in Angola was harvested at Quinta Crescent last week. Quinta Crescent is owned by Pinotage fan and Angolan Government Minister General Francisco Furtado. 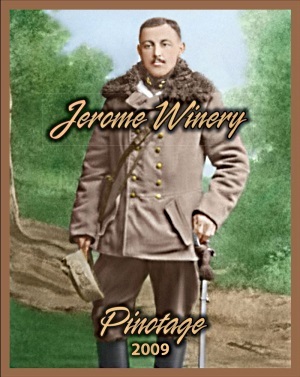 General Furtado planted his vineyard in co-operation with Pinotage guru Beyers Truter, owner of Beyerskloof. Beyers told me “We planted 12 ha of Pinotage, Cabernet Sauvignon, Roobernet and Shiraz starting in July 2013. The Pinotage went in during November 2013, so this harvest was its first. Beyers managed to make grappa from Pinotage skins last week and he poured me a taste of the crystal clear 57% abv grappa from a small plastic bottle. It is powerful stuff. Beyers is obviously having a ball with his Angola project and will be returning to Quinta Crescent in March to oversee the winemaking. “We had to take all the winemaking equipment­—every single thing—from South Africa,” he said. Angolan Pinotage grappa is another first for me, now I’m looking forward to tasting Angola Pinotage wine. 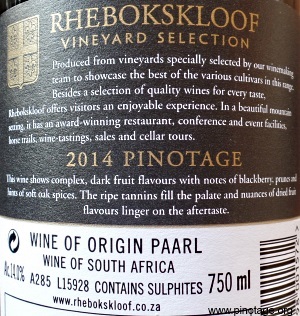 especially “the gorgeously gulpable” Paardebosch Pinotage and Fram’s “vibrant Pinotage 2012” which “is also a cracker”. World First Sparkling Pinotage Released for Valentines Day! 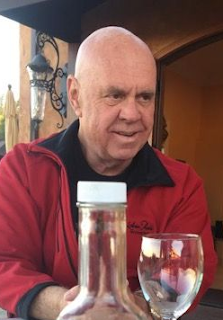 Today, Valentine’s Day, you can toast your love for the first time in sparkling white Pinotage, but you have to go to Los Gatos, California to do so. 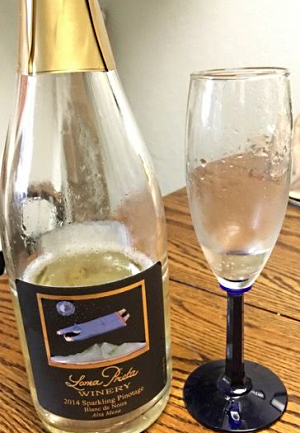 Loma Prieta winery, the USA's largest producer of Pinotage, has created the world’s first 100% white sparkling wine from black Pinotage grapes. Last August about ten tons of Pinotage grapes were harvested at 19 brix from the Amorosa vineyard in Lodi, California to be pressed in Geyserville for sparkling wine. Pinotage has been used as a component in several sparkling wines in South Africa over the years, both pink and white but no single varietal white sparkling Pinotage has been produced. Congratulations to Paul Kemp and the Loma Prieta team. I look forward to tasting this world first. Arizona is the sixth* US state to be both growing and making Pinotage on a commercial basis. The vines are in the Dragoon Mountain Vineyard, 4300 ft above sea level, near Willcox, South-Eastern Arizona. The McLoughlin family bought 320 acres of bare land in 2002 and after two years of preparation started planting vines. Pinotage was first planted in 2007, one of more than 100 varieties and clones in an experiment to see what grows best in the terroir. There are now three blocks from four Pinotage clones. the Jerome Winery’s 2009 to be deep ruby in color all the way to the rim. The nose was full of red fruits with hints of plums and vanilla. The initial pour and taste brought black cherries and tight tannins. After a hour in the decanter this wine truly opened up with raspberries, cherries and pipe tobacco. The once tight tannins had settled down and provided a long smooth finish that had me holding out my tongue to get the last drop out of the glass. *The other states are California, Oregon, Virginia, Maryland and Michigan. Pinotage wine is infrequently made in some other states by buying in California grown grapes or juice, and in some instances by using condensed juice from South Africa. Some other US states are growing Pinotage but not as yet producing wine on a commercial basis.